Mount Horeb Area School District in Wisconsin canceled a reading of the children’s book I Am Jazz after the Liberty Counsel, a conservative Christian nonprofit, threatened the district with a lawsuit. 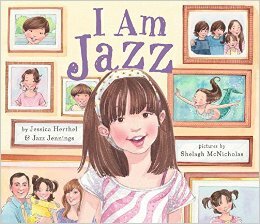 Dylan Brogan reported on the removal of I Am Jazz, which is based on the childhood of Jazz Jennings who was born a boy but transitioned to a girl, for WORT 89.9 FM Community Radio in Madison, Wisconsin. The book was being read because a student in the district is undergoing the same transition, and the district was looking for ways to “support gender-variant students and their families” and to help other students understand and accept the change. The district sent a letter about their plans to parents in the community, inviting parents to contact them with concerns (including, no doubt, the opportunity to exempt their children from the program), but the program was cancelled when Liberty Counsel threatened the district with a lawsuit. With the expansion of equal rights for LGBT people, especially, the Liberty Counsel has come into their own, working to attempt to ensure that Christians can continue to engage in anti-LGBT discrimination in places of business under the guise of “religious liberty.” Through lawsuits and its annual Awakening conference in Orlando, the Counsel attempts to enforce the idea that Christian beliefs and law trump all other law. The actions of the school district and the Liberty Counsel raise serious First Amendment concerns with respect to both religious freedom and free expression protections. In cancelling the reading, the district is allowing a single religious group dominance over other religious beliefs, and the decision impinges on free expression by allowing a small number of people to control what can be read in the community. The Mount Horeb school district released an official statement, indicating that it is allowing “parents the additional time to review the materials we intend to present to the students” and evaluating their feedback before proceeding. However, the Liberty Counsel has stated that the threat of a lawsuit remains and they plan to track any actions taken with regard to the book or on behalf of the transgender student in the school system. CBLDF is looking into the situation and will post more information as it becomes available. You can listen to Brogan’s report here.